Celebration, Relaxation with a Yoga Party! Go Green Fashionista offers the ultimate Yoga Parties Experience —a unique way to celebrate or simply gather groups together for a time to exchange happy energy , laughter, and clever reminders of self love activities. Our Yoga Parties Experience are unique, and include creative poses, breathing techniques, activities, music, incense and healthy gifts. Each session ends with deep relaxation. Whether you want a session at your home or another location, Go Green Fashionista will provide a certified and insured yoga instructor to lead the way. We look to lead individuals towards a degree level of physical health and fitness while implying mind and stress healing techniques through the connection of the mind, body, and spirit. Our goal is to guide people in a powerful stress relief practice using graceful flows and attention to now, ultimately the breath. These techniques are also combined with building physical strength, muscle relaxation, and the release of mind clutter through guided intention settings. Sessions will be on a soothing soundtrack to ensure presence and joy in each moment of the class. Inquire about our Go Green Fashionista Yoga Spa Parties Experience: Includes aromatherapy with hand and foot massages, along with relaxation through breathing and visualization. 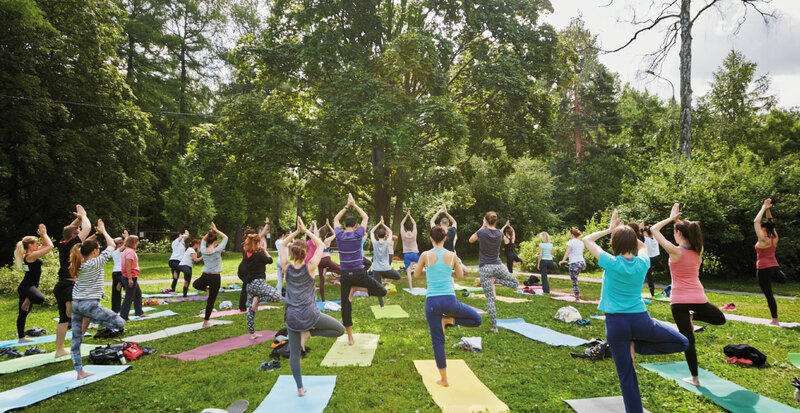 Let us help you throw a yoga party for a healthy time. A full hour-long yoga class, themed, and taught by a certified, positive energy, nature loving Go Green Fashionista Instructor. We’re flexible! Teachers can come to your location. Please confirm availability to reserve a day/time.